For more than 50 years, the HOST Dry Carpet Cleaning System has been the premier dry extraction system on the market. 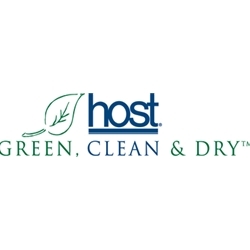 For use in both residential and commercial settings, HOST works better than hot water or steam methods. And, since it is a dry process, you can walk on the carpet immediately after cleaning – meaning zero downtime. Vacshack.com is proud to be a part of the Host family, offering rental machines in Oklahoma City and the Host carpet cleaning products to all of our customers nation wide.